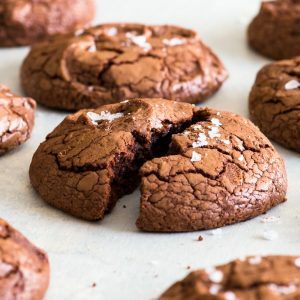 Ridiculously fudgy, decadent and delicious, these chocolate brownie cookies are not only some of the best cookies out there, they are also incredibly easy to make! 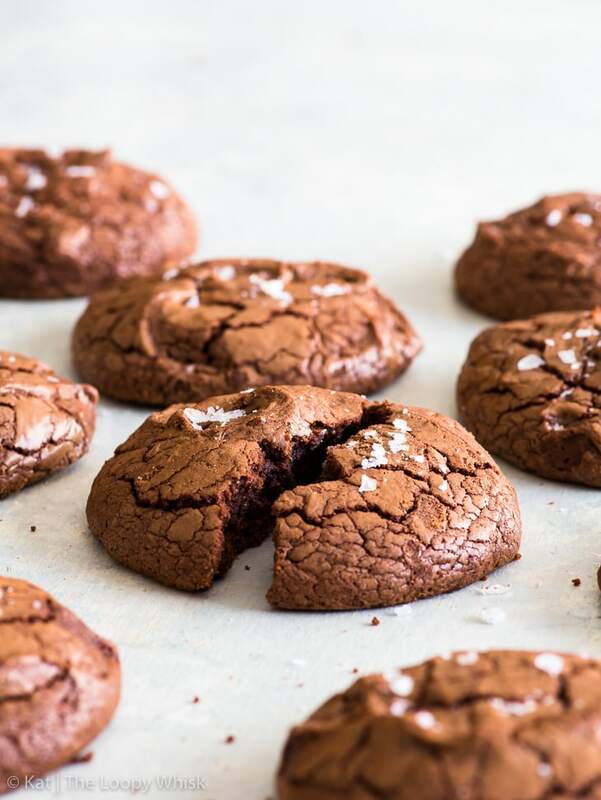 This recipe makes gluten free brownie cookies that have a shiny, crackly – and slightly crunchy – crust, and a wonderfully fudgy interior. 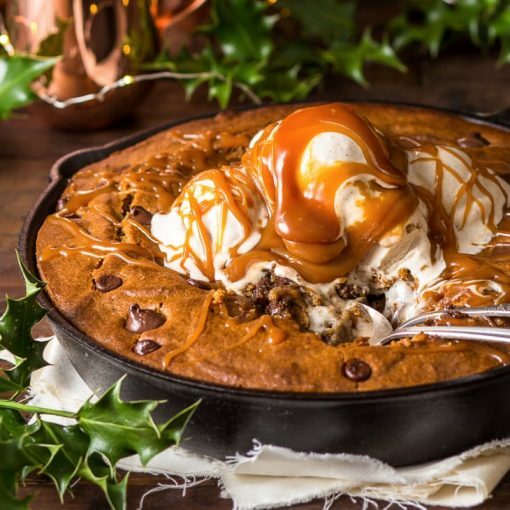 Whoever thought to put cookies and brownies together into this glorious, decadent chocolate-overload of a dessert is a genius and I am forever grateful. 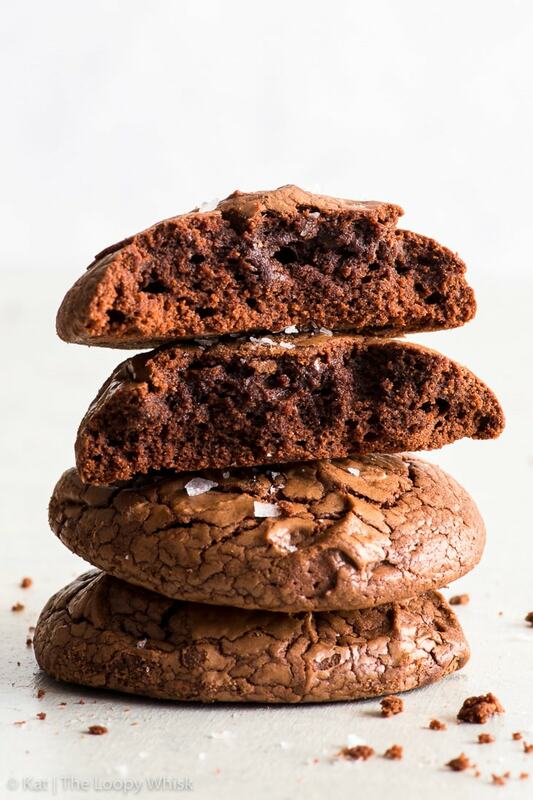 I’m not kidding, chocolate brownie cookies are quite certainly every chocolate lover’s fantasy come true, and I can’t get enough. 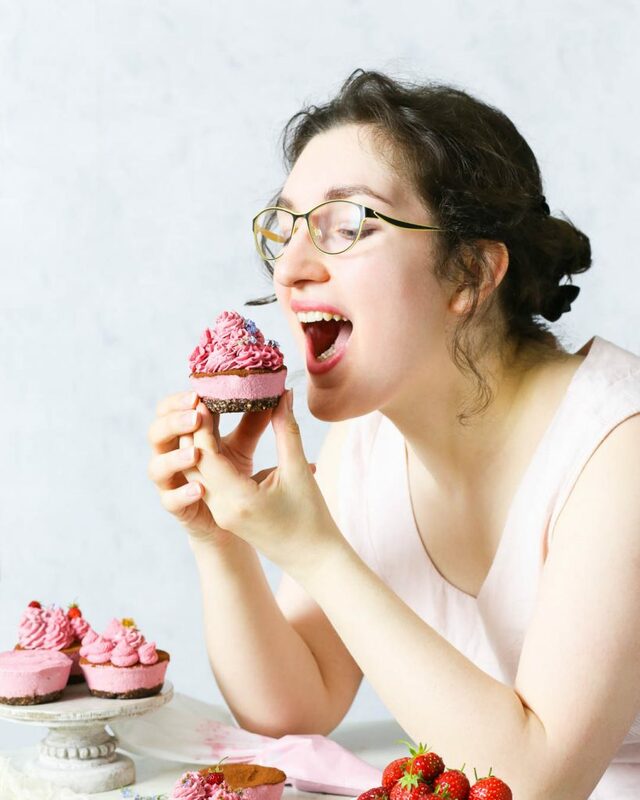 Last week, we talked about raspberry stuffed brownie cookies (because they are mind-blowing and I couldn’t wait to tell you all about them – and I’m just a horribly impatient person… and you’re welcome) so now we’re going back to basics. 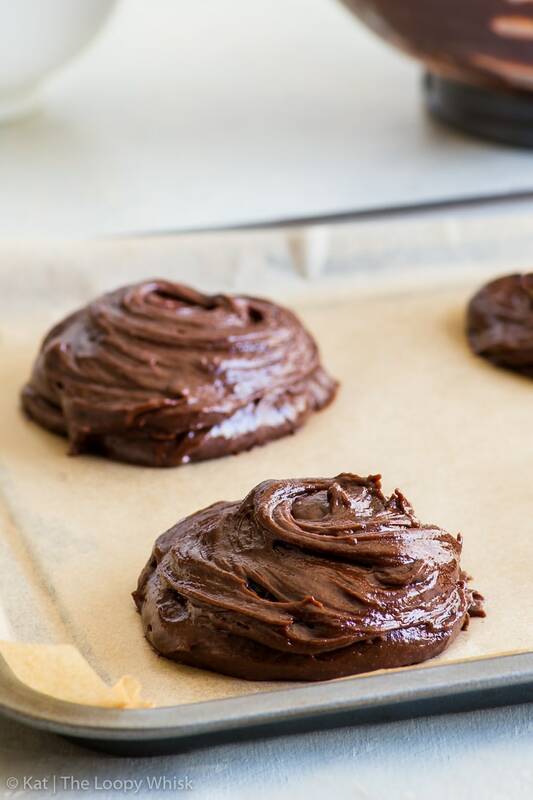 But for now… fudgy chocolate brownie cookies. Gluten free, because that’s just how we roll. No cookie-stuffing involved. It all starts, unsurprisingly with chocolate. And butter. You know it’s gonna be good. We’ll melt them together in a bain-marie (over a pot of simmering water in non-fancy speak) until luscious and terribly tempting. 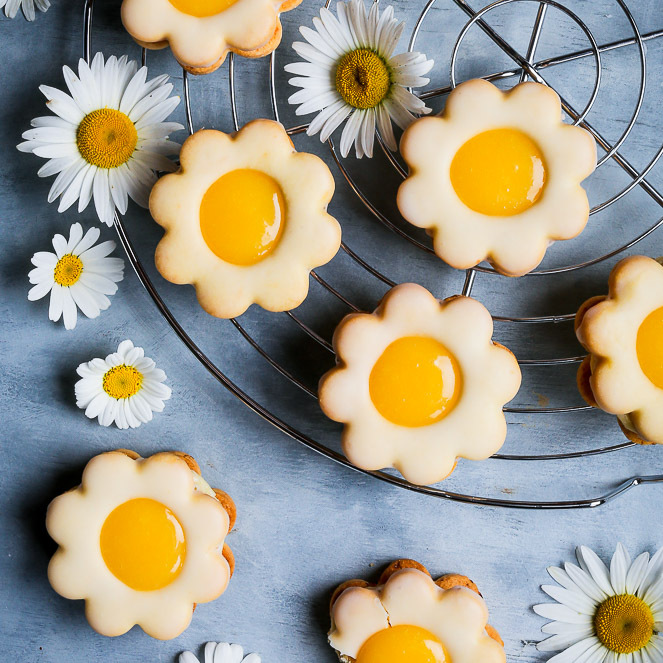 In the mean time, we’ll do some wonderful egg+sugar magic. 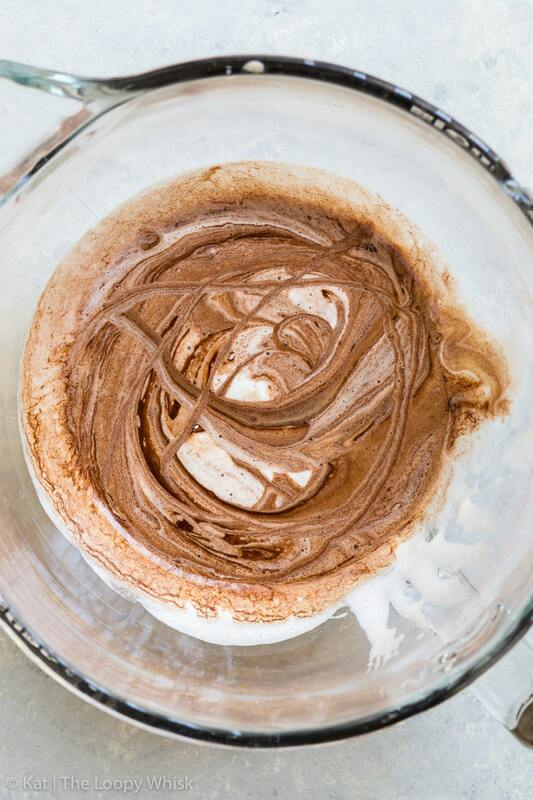 You know how you can whip egg whites with sugar to get pretty fluffy meringue? You can do the same with whole eggs. The peaks won’t be as stiff, but the mixture will greatly increase in volume and get all airy and nice. Then, we’ll fold the melted chocolate into the fluffy eggs… and marvel at the sweet sweet art we’re creating. After that, all that’s left to do is fold in the dry ingredients (the usual suspects: gluten free flour, xanthan gum, baking powder, pinch of salt and cocoa powder) and we’ll be left with a shiny sinfully chocolatey cookie batter. Yes, it’s a batter rather than a dough. It’s runny and you can’t shape it with your hands. So we’ll use an ice cream scoop (or a cookie scoop if you have one on hand – the result will be the same) to portion out heaps of brownie cookie goodness. 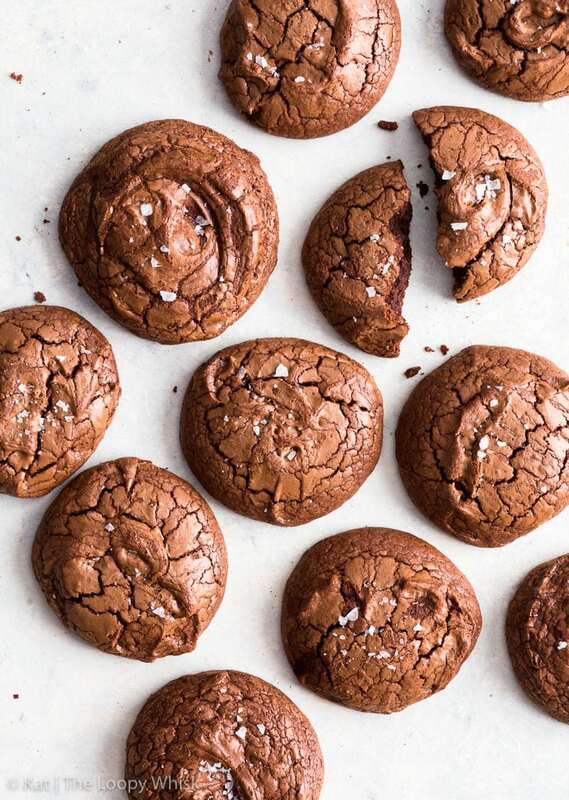 Then pop them into the oven for a bit, and wait impatiently for shiny, crackly chocolate brownie cookies to emerge. That’s the mark of a good brownie cookie, you see: a shiny crust with generous cracks that makes it all charming and such. 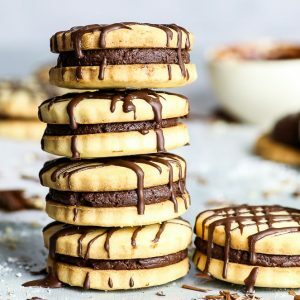 Now, let’s clear one point up: I know many will claim that a “proper” brownie cookie should be flat, much like a chocolate chip cookie – in the sense that is spreads quite a bit during baking. That’s what I thought, too. Initially. 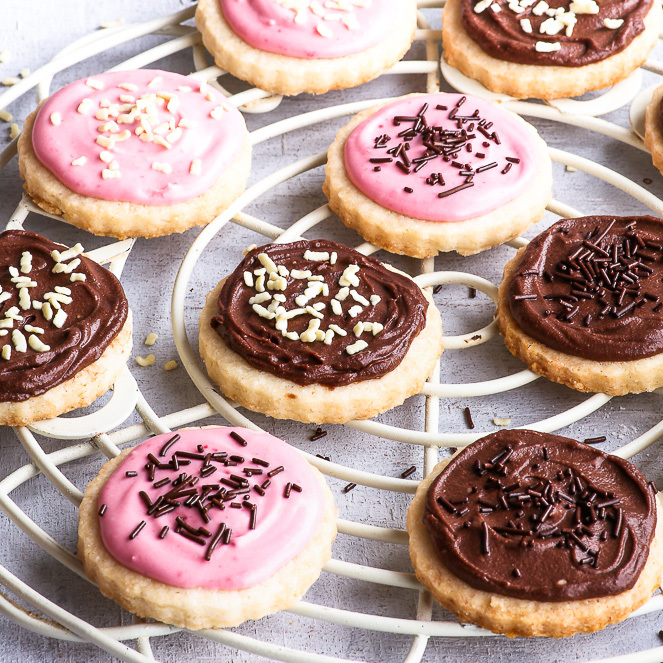 And… these cookies are not flat. They have a nice height to them. At first, I wanted to fiddle with the recipe a bit more, to get them closer to that perceived “ideal”. But you know what? After I had a bite, I changed my mind. Because they were perfect. With a slightly crunchy crust and properly fudgy in the middle. And you know why you can have BOTH in one cookie? Because. It’s. Not. Flat. 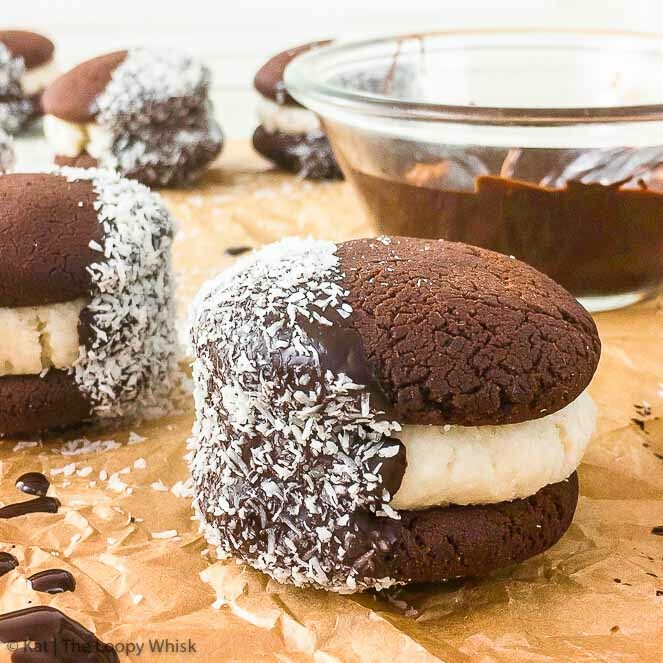 The height allows these brownie cookies to be both crunchy and fudgy – so you have the best of both worlds. And once you take your first bite… you’ll get what I’m taking about. Sheer chocolate cookie perfection. The only thing that can possibly make them slightly more perfect than they already are is a sprinkling of sea salt on top. Holy. Yum. Pre-heat the oven to 355 ºF (180 ºC) and line two baking sheets with baking/greaseproof paper. 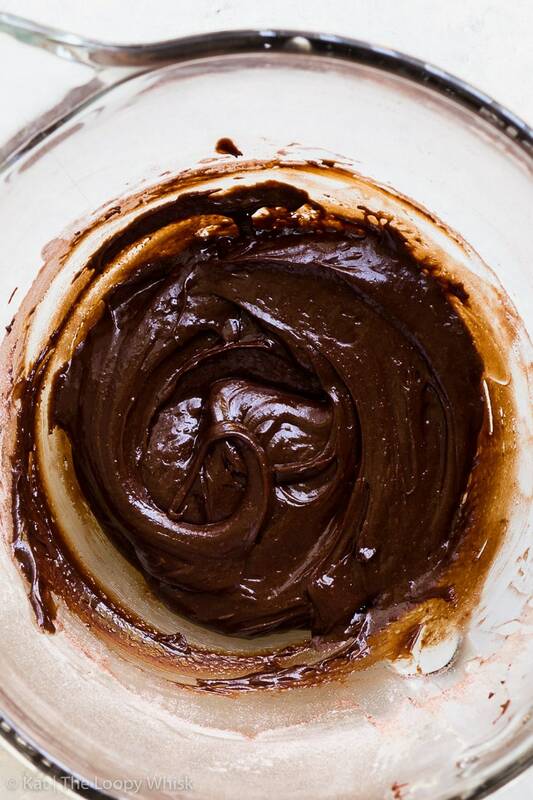 In a heat-proof bowl above a pot of simmering water, melt the chocolate and butter together. Once melted, set aside to cool slightly. 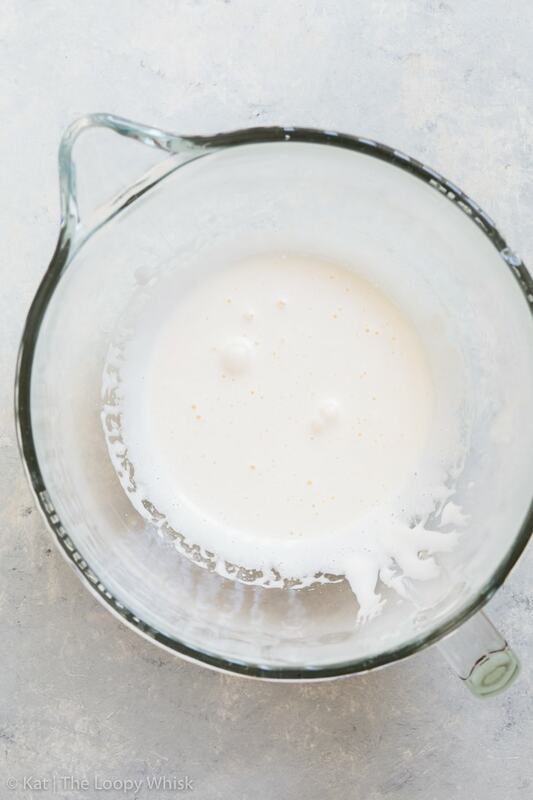 In a stand mixer (or using a hand mixer with the double beater attachment), beat the eggs and sugar together for 5 - 6 minutes, until pale, fluffy and greatly increased in volume. Add the melted chocolate to the egg mixture, and mix briefly until the chocolate has been evenly incorporated. Sift together gluten free flour, xanthan gum, cocoa powder, baking powder and salt, and add it to the mixer. Mix for 30 seconds to 1 minute, until all flour has been incorporated and no flour clumps remain. Scrape the sides and the bottom of the bowl with a spatula to ensure the cookie batter is an smooth as possible. 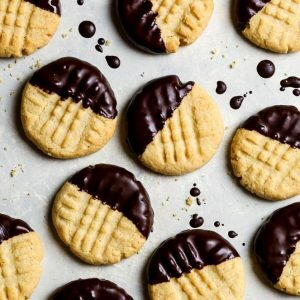 Using a cookie scoop (or an ice cream scoop, or even just a spoon), transfer ~2 tbsp of the cookie batter onto the lined baking sheet, keeping at least 1 inch between them. Bake in the pre-heated oven at 355 ºF (180 ºC) for 12 minutes. The cookies should be slightly crackly on top, with a shiny crust. They will be soft when they come out of the oven, so leave them on the baking tray for about 1 minute before you transfer them to a cooling rack. Sprinkle with a bit of sea salt and enjoy! 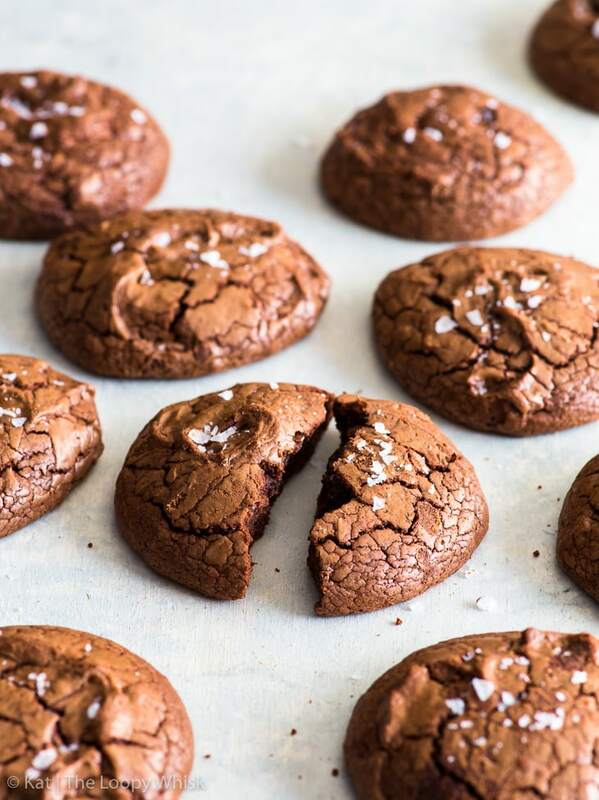 These fudgy chocolate brownie cookies keep well in a closed container in a cool dry place for about 1 week. 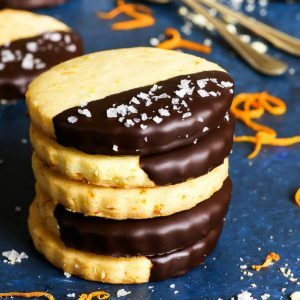 Looking for more AMAZING cookie recipes? You’re in the right place! If I use gluten free flour with Xanthum gum in it, should I omit the added Xanthum gum? I am very excited to make these! I have never done a gluten free bake before. If your gluten free flour blend already contains xanthan gum, you don’t need to add more 🙂 Enjoy!